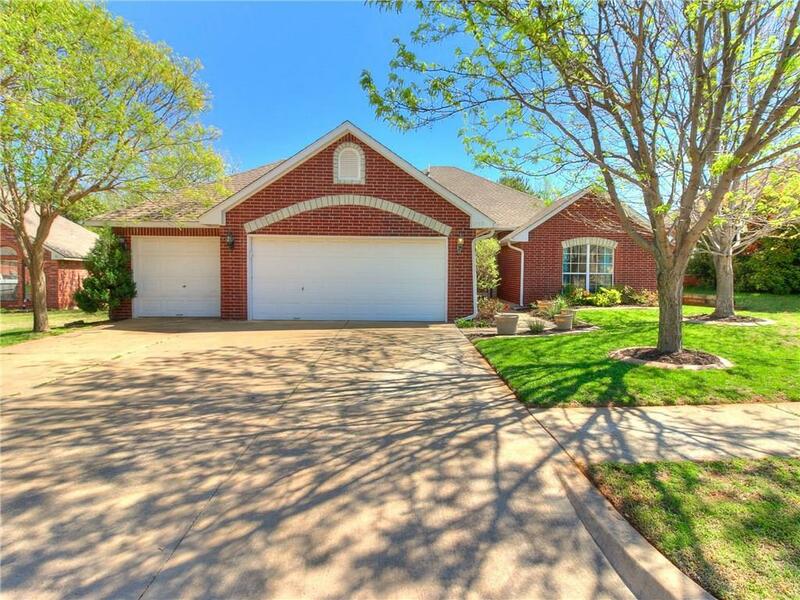 Wonderful home backing to a wooded greenbelt in the gated community, Cedar Pointe! Offering 3 spacious bedrooms, 2 living areas, a mud room/office space, wood floors, 3 car garage, and a gorgeous treed lot. The 2nd living area would make a perfect game room or den. The open kitchen features a unique brick paver floor, stainless steel appliances, a center island, & dining space with a window seat. The gorgeous backyard faces a treed green belt and comes complete with a nice deck, storage building, and a play house! Cedar Pointe is a lovely gated community offering a park, water feature, a neighborhood pool, fishing ponds, and green space.